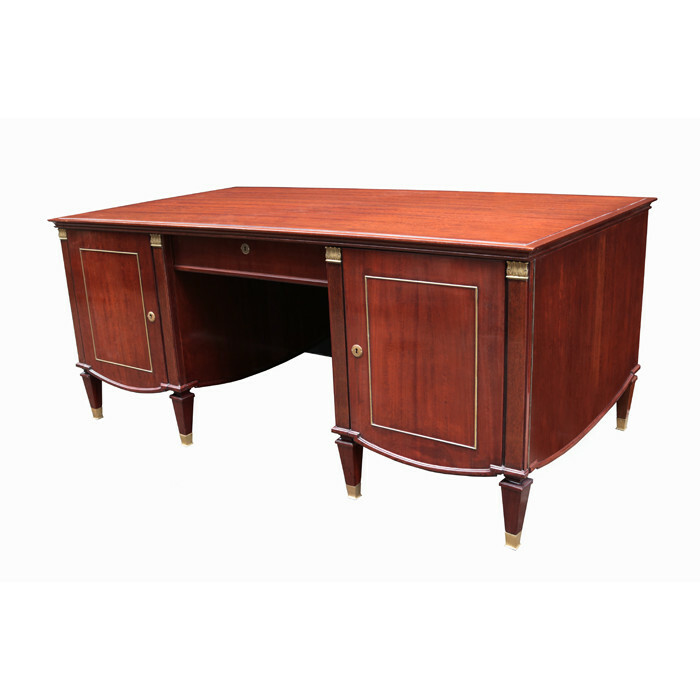 A Neoclassically inspired desk by De Coene Frères. Mahogany with patinated bronze details. Featuring original De Coene label. Dimensions: H:31¼ W:72 D:39¼ Inches.